Is the energy price cap a rip-off? It’s been just over a year since the government first floated the idea that it was to implement a price cap on what the Prime Minister called “rip-off energy prices” – the idea being that a price cap on standard variable rate tariffs would put an end to runaway price increases have seen energy bills rising well above the rate of inflation. The energy price cap was subsequently set at £1,137 a year by Ofgem, the energy regulator, and came into effect on January 1st this year, saving households an average of £76 a year – so far, so good. But, just a month after it was implemented, Ofgem has announced the price cap will go up by £117 in April - an increase of around 10%. This means that instead of paying £1,137 a year, households using a typical amount of energy and paying the bill by direct debit, should now expect to pay £1,254 a year. Far from ending those “rip-off energy prices”, it looks like the cap could potentially be making things worse for most energy customers, particularly those who are in the habit of switching suppliers to get the best rates. So, is the energy price cap a rip-off? What’s the latest on the energy price cap? It was widely thought that Ofgem would announce an energy price cap increase of around £100 - it actually increased it by closer to £118 for the average household that pays its energy bills by direct debit. This is obviously bad news for households on standard variable rate tariffs, as they will see their bills increase once more, and may see them increase again in October. On the flip side, they could also see their bills drop, should the cap be lowered in the next review – that’s the chance you take with a variable rate tariff. But this news only serves to reinforce that the only way to make real savings on your energy bills is to compare energy tariffs from a range of suppliers and switch to a better deal. The bad news is, the price cap is also eroding the savings that can be made by switching. Just one month after it was implemented, #Ofgem has announced the #energypricecap will increase by £117 from April - do you think the price cap is working? Only a cynic would argue that the price cap was launched with anything but the best of intentions – that is, to help those households struggling to pay rising energy bills, while also reigning in a market that seemed to be spiralling out of control. But, from the outset, critics of the plan warned that it could have an adverse effect that would see energy companies fixing prices around the level of the price cap. This would not only mean there would be fewer cheap tariffs available, but it could also push even more small suppliers out of business, leading to an increasingly less competitive energy market. And that is exactly what’s happening. The introduction of a price cap was first announced at the 2017 autumn Conservative Party conference, when Theresa May confirmed that the government is to publish a draft bill to cap prices on standard energy tariffs and end “rip-off energy prices”. It’s surely no coincidence that over the course of 2018, as the date of the price cap drew closer and more and more fixed rate deals ended, that the number of cheap energy deals costing less than £1,000 per year dropped by 90% - falling from 77 at the start of the year to just eight by the end of it. As predicted, prices would bunch around the level of the price cap, and those customers who are most engaged in the energy market would suffer inflated prices. 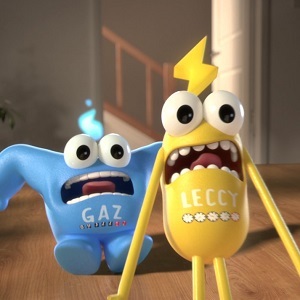 On the other hand, it may well be a complete coincidence that, of the 13 energy suppliers that went bust over the last 12 months, over half ceased trading from October onwards, after the level and launch date of the price cap had been announced. Some even cited the price cap directly as being at least partially the reason they had to cease trading. We suggested back in October 2017 that the government might be better off focussing its efforts on greater household energy efficiency than implementing a price cap, and it still looks like that could be a better option to help struggling households. And, even with the price cap currently set at £1,136 per year, switching supplier remains the most effective way to lower your annual gas and electricity bills. Is the energy price cap a rip off? If you regularly switch energy supplier, it’s hard to argue that the energy price cap is anything but a rip off – energy suppliers have bumped up the rates on fixed energy deals, which has reduced the amount you can expect to save. If you’re on a standard variable rate, it’s not exactly a rip-off, but it really isn’t helping you as much as it should be, and you still stand to make much more substantial savings by switching energy supplier. If you think switching energy supplier is too much hassle, think again. It literally takes a few minutes to run an energy price comparison deals, and we take care of the whole switch for you – you’ll be with your new supplier and saving money within a couple of weeks. Pop your postcode in the box at the top of the page to get started, or give us a call on 0800 320 2000 to see how miuch you could save.